"When Only The Best Will Do." Black, Red, Blue, and Yellow. PROSPEED continues it's long and successful partnership with KARTSPORT North America. The newest model Arrow and PRAGA karts are the highest quality, best engineered, superior handling racing karts in the world. PROSPEED is also a dealer for the dominant IAME X30 TAG and SWIFT Junior engine packages. Nothing beats IAME build quality and performance. 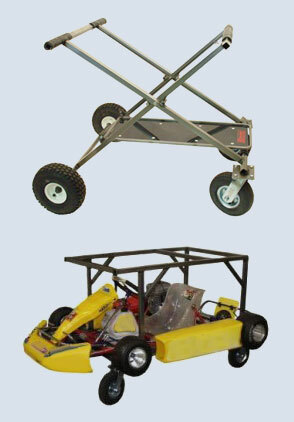 For the beginning kart racer, PROSPEED offers the BRIGGS & STRATTON LO206 and World Formula engine packages. These packages are competitive, affordable and low maintenance.